Our wine today was a 2011 Babich Sauvignon Blanc from Marborough; a 2011 Saintroch Les Vignes Cote de Provence rose; a 2011 Red Truck California Pinot Noir; and a (non-vintage?) Rosenblum California Zinfandel. Today was the first meeting under our Power Hour schedule. Jerry did a great job of keeping to schedule. Remember, the meeting now starts at 12 noon. We have lunch, listen to our speaker, conduct club business, and wrap it all up at 1. 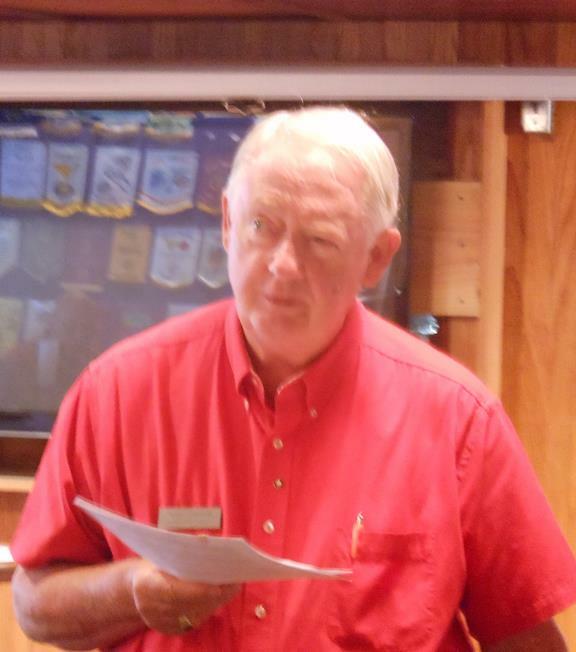 Our speaker was Bob Haunschild, former president of the Carlsbad Rotary Club, who spoke to us about some recent discoveries about Nitric Oxide (not Nitrous Oxide, which is laughing gas) as a magic bullet for health. NO, which is produced by the amino acid L-Arginine, is reported to alleviate the symptoms of many current ailments, including Alzheimer’s, depression, erectile dysfunction, and arthritis. It’s worth a try. See you next week at 12 noon.